We have designed quite a few tropical crafts over the years—from tropical greenery to tropical flowers and more. So when we were designing our new frosted paper flower kits, we knew we needed something tropical! 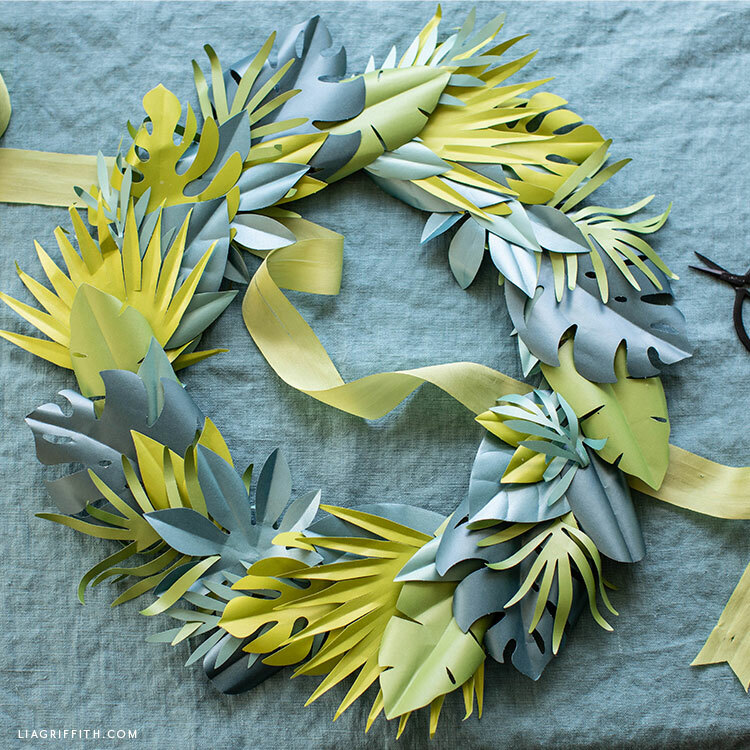 Our frosted paper tropical leaves kit includes all of the vibrant leaves you see here along with step-by-step instructions for how to create this gorgeous wreath. You can find our tropical leaves kit in our online craft shop. Or check Amazon! Our frosted paper tropical leaves kit is an easy way to add some tropical warmth to your home. If you want some more ideas on how to do this, make sure to check out this post for some tropical living room inspiration! Inside the kit, you’ll find 20 die-cut sheets of frosted paper. 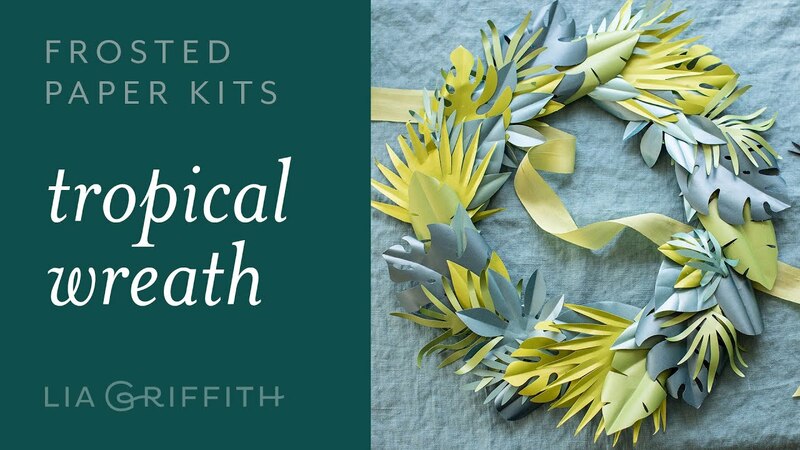 This will allow you to make 110 tropical leaves in five colors that you can use for wreaths, garlands, table settings, and more. 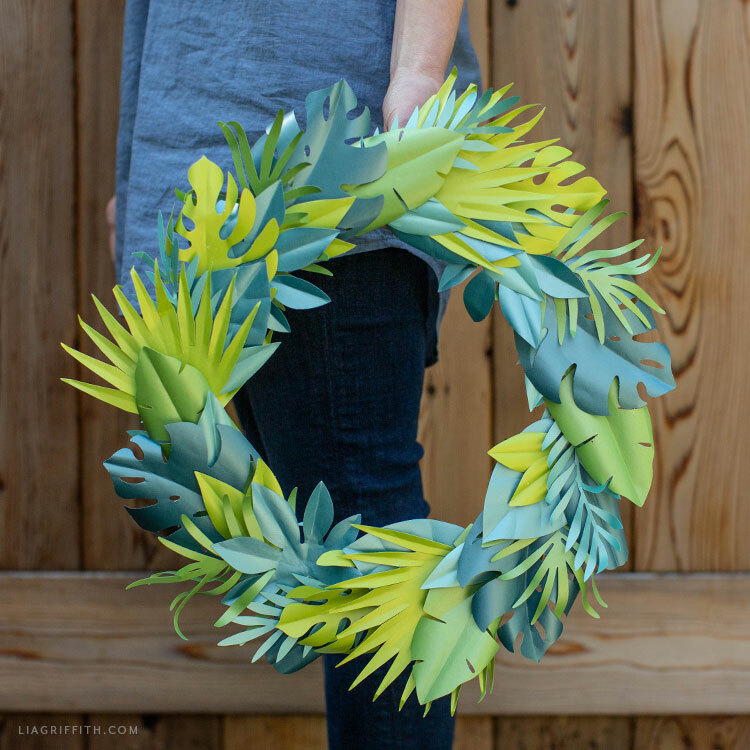 There’s also a list of the craft tools and materials you’ll need to make this tropical wreath, the instructions, and a link to a video tutorial so you can craft along with me. 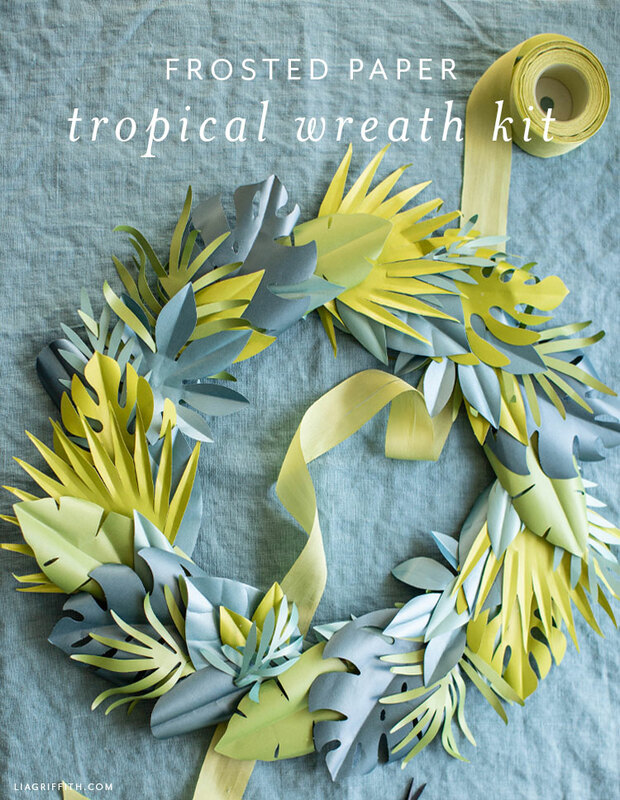 Once you have your frosted paper tropical leaves kit, wreath form, and craft tools, just follow the tutorial included in the kit. Or watch the video below! When you are done crafting, share photos of your finished project with us using the hashtag #MadeWithLia on Facebook or Instagram. If you love to make wreaths, make sure to browse our handmade wreath ideas on the site! Or check out all of our DIY home decor projects for more decorating ideas. And if you aren’t a member yet, head over to our membership page to explore how you can join our crafting community!